The site has been revamped and relaunched and it's the bizness. It was a great site before the revamping but it's the bizness now. Their articles are always entertaining and informative. They've got photos, vids, and tons of other goodies. What an interesting blog! I luv her style of writing and her hair is fabulous! 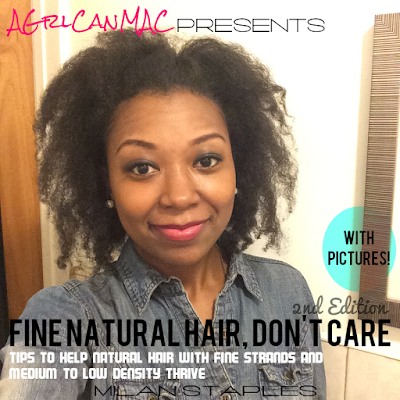 While this isn't a natural hair site/blog per say, Jc provides vital information us naturals need to take heed. I have given her shout outs before in other posts. As a scientist by day, her blog gives the scientific explanations to hair care and how different products/ingredients effect our hair. I'm addicted to this place! Information I have received from this site has helped my hair to thrive even more. You make better hair choices when you are in the know of what you are doing and WHY you are doing it.